Restaurant 1649 with its oak beams and Inglenook Fireplace offers a distinctive contemporary menu in a relaxed atmosphere. A lighter menu is available in the lounge bar, by the log burning stove in the winter or on the terrace on a warm summers day. The bar which is at the heart of the hotel, serves morning coffee with homemade biscuits and traditional afternoon teas. 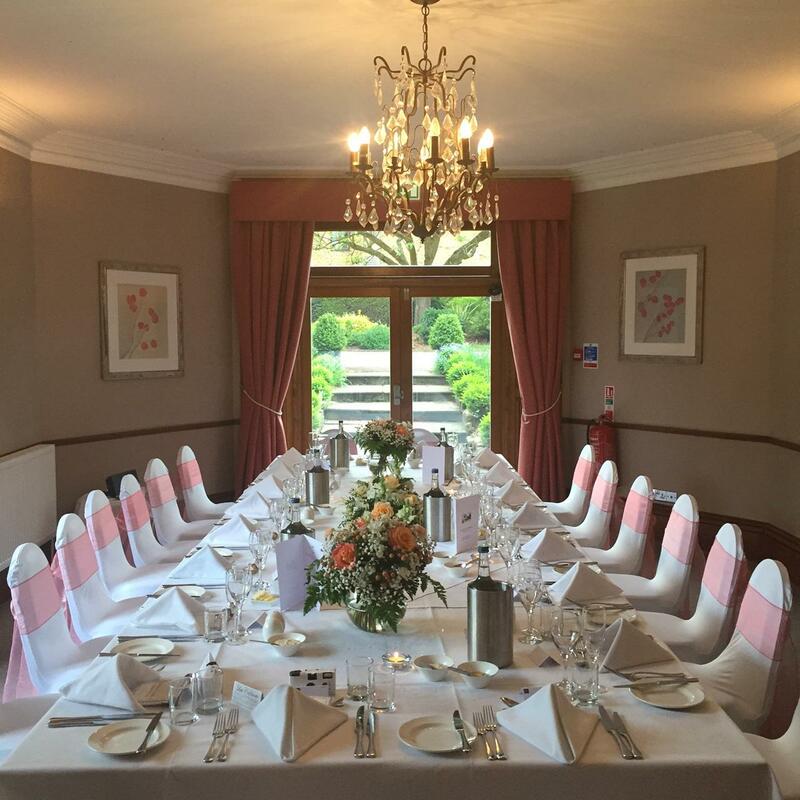 We also have two private dining rooms, the Wroxton Room and the Broughton Room, both bright and airy with their own individual character perfect for celebrating those special occasions. 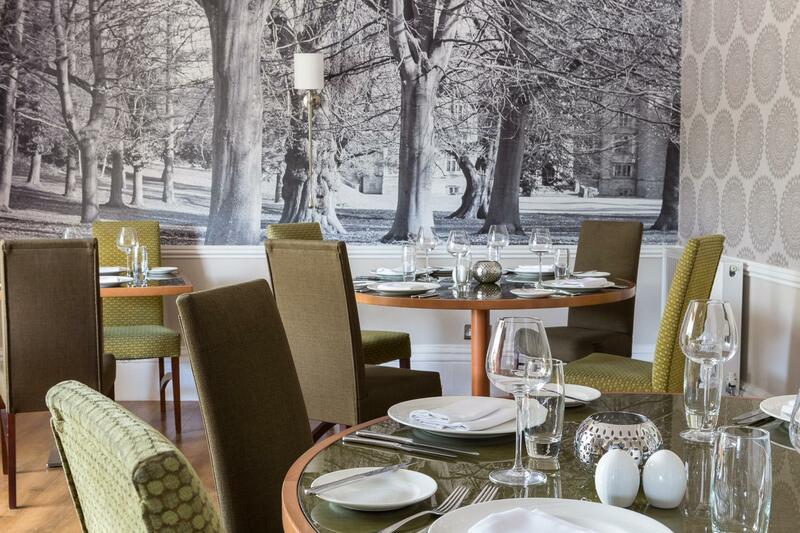 Restaurant '1649' has maintained its 2 AA rosettes in recognition of its excellent food and service for the last few years. The kitchen brigade, led by Head Chef Rob Marshall, are always creating something new. In fact, many of our guests ask for a pot of homemade jam, marmalade or chutney to take home! Due to the efforts of a committed and experienced team, we are delighted to have maintained our Platinum Award for 'Eat Well in Cherwell' operated by Cherwell District Council along with a maximum 5 stars 'Excellent' in the national 'Scores on the Doors' scheme for our food hygiene. You don’t have to be a guest at the hotel to enjoy the restaurant and bar. 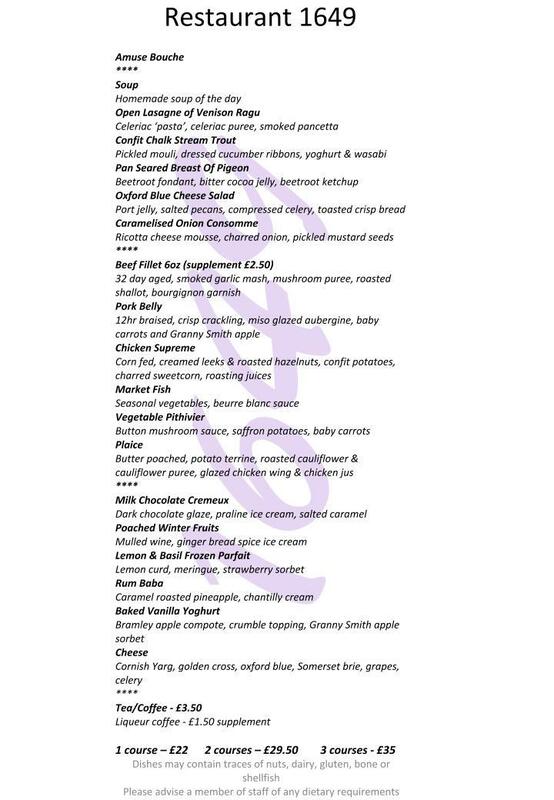 To make a reservation please call 01295 730777. Our lounge menu consists of a set list of 'bar classics' as well as a daily changing board of specials. Pop in and see what takes your fancy! Traditional Afternoon Tea Selection of freshly cut sandwiches, fruit scones with clotted cream and homemade raspberry jam followed by a selection of homemade mini desserts. We require 24 hours notice, therefore, booking is essential and please advise of any dietary requirements. Are you celebrating a milestone birthday? Just looking for an excuse to get the family together? Whatever you reason to celebrate give us a call and we can discuss your ideas and budget.